HAMSTER announced that from December 6th, 2018, ACA NEOGEO TWINKLE STAR SPRITES will be available digitally for ACA NEOGEO, the downloadable series by HAMSTER for Nintendo Switch and Xbox One. PS4 on Dec 11th. HAMSTER announced that from December 6th, 2018, Arcade Archives DOUBLE DRAGON II The Revenge will be available digitally for Arcade Archives, the downloadable series by HAMSTER for Nintendo Switch. 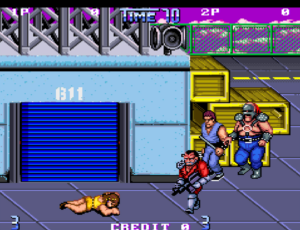 DOUBLE DRAGON II The Revenge is an action game that was released by Technos Japan in 1989.